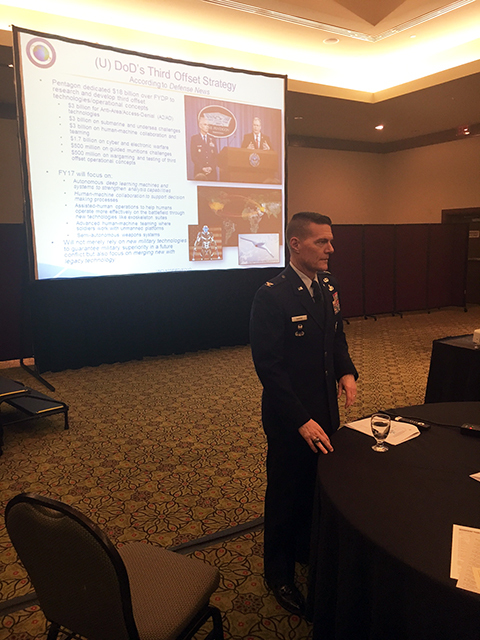 The Leading Experts from USAF ACC, HQ, USAF, OUSD (I), OUSD(AT&L), Army G2,Army PEO IEW&S, Army 116th MI Brigade (INSCOM), PEO IWS/ASN/RDA, PEO Soldier, NGA, Lockheed Martin, Northrop Grumman, Raytheon, BAE, BAH, Leidos, TeraLogics, CH2M Hill, GMU C4I Center, and CSFI presented at the TTC event. 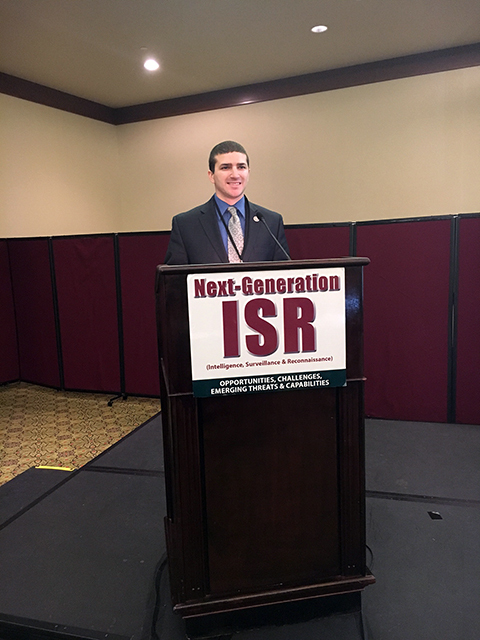 TTC has once again put together a superb ISR event! I really enjoyed the size of the audience, and the rich content shared by the presenters. I highly recommend the TTC ISR event. 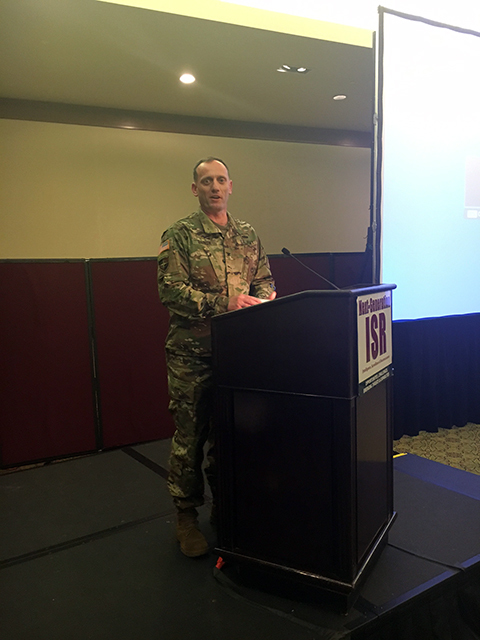 It was refreshing to see the presenters covering full-spectrum awareness to include cyber in and through ISR as a strong enabler of ISR capabilities. 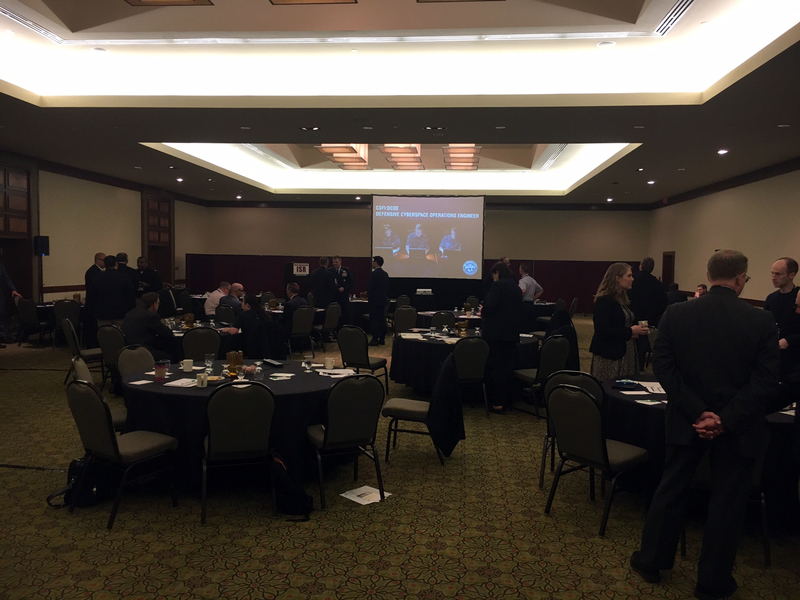 5th-generation aircrafts, associated “smart weapons,” space, and cyber systems were important topics of this TTC event in DC. CSFI is very proud to be one of the sponsors. 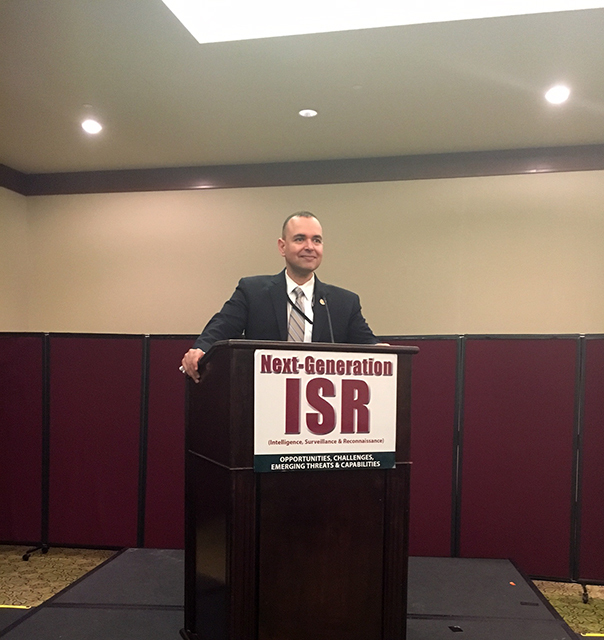 I would recommend ISR and cyber professionals to attend the next event in San Diego with a rich US Navy flavor. 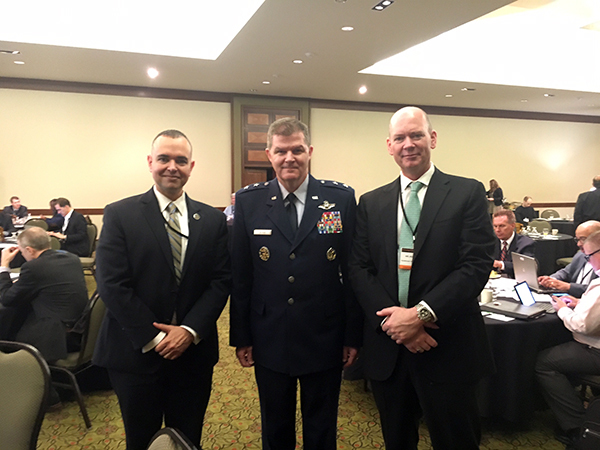 Paul de Souza (CSFI Founder/President), MAJOR GENERAL THOMAS DEALE, USAF, Director of Operations, HQ, Air Combat Command, Joint Base Langley-Eustis, and Bradford Barrett (TTC Event Organizer). 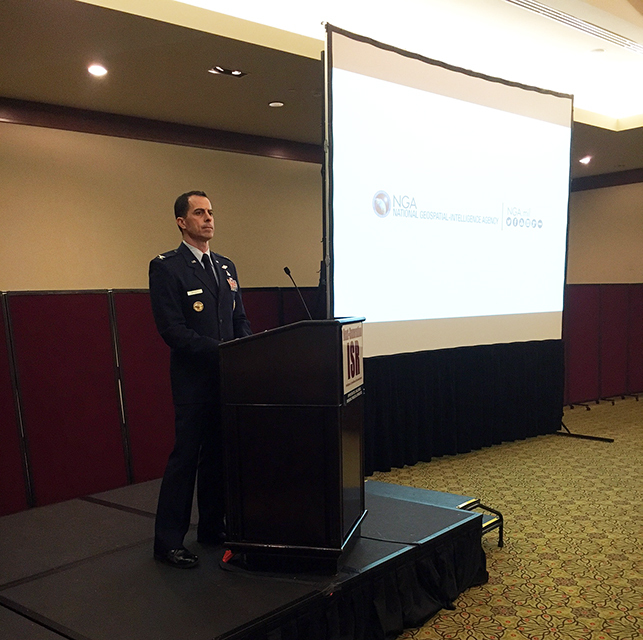 MG Deale was the keynote speaker for the event. Paul de Souza (CSFI Founder/President) sharing some words about the CSFI mission. 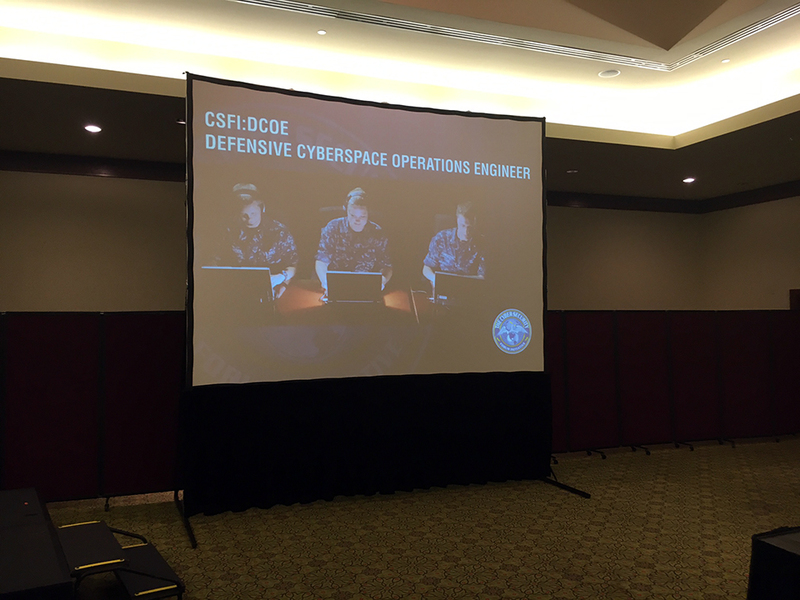 CSFI DCOE (Defensive Cyberspace Operations Engineer) promotional screen being shown during the event. Special thanks to TTC! 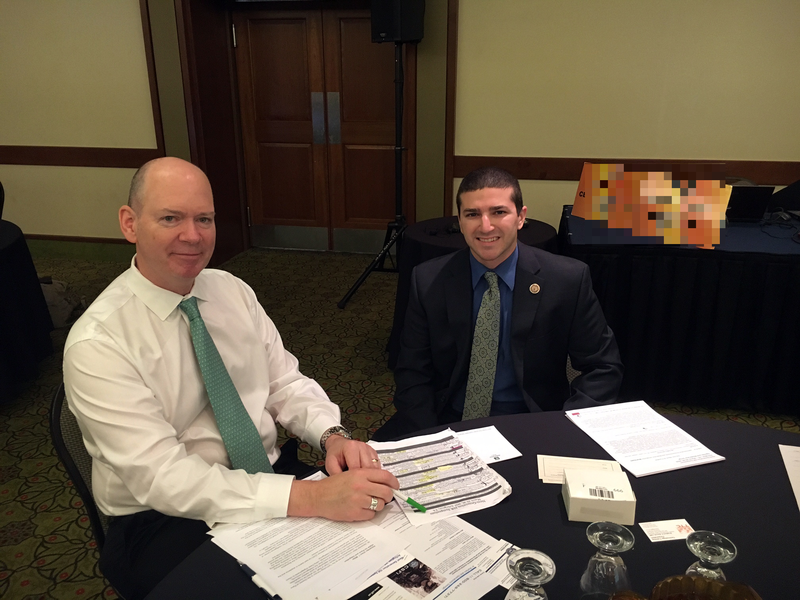 MAJ GEN (USAF RET), LAWRENCE WELLS, Former Commander, 9th Air Force, Senior Director, Cyberspace Innovation, Stellar Solutions, Inc., CSFI Advisory Director, and Paul de Souza (CSFI Founder/President). 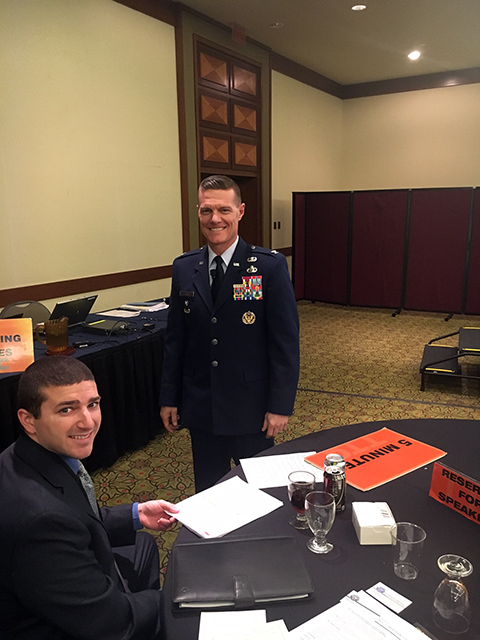 MAJ GEN (USAF RET), LAWRENCE WELLS, Former Commander, 9th Air Force, Senior Director, Cyberspace Innovation, Stellar Solutions, Inc., CSFI Advisory Director General Wells graduated from the U.S. Air Force Academy in 1978 and completed pilot training the following year. He is a graduate of the USAF Fighter Weapons School, Air Command and Staff College and Air War College. In 1989, he received the Anthony C. Shine Award as the outstanding fighter pilot in the Air Force. His commands include a fighter squadron, operations group, reconnaissance wing, air expeditionary wing in Southwest Asia and a Numbered Air Force. Prior to retiring in August 2013, Larry was the Commander of Ninth Air Force, responsible for 30,000 people and over 400 aircraft. Larry served in the Air Force for 35 years; he has over 2800 flying hours (300 combat hours) in the F-16, U-2, RQ-4 Global Hawk and the KC-10 and was awarded the Bronze Star and Air Medal for combat operations in Iraq and Afghanistan. 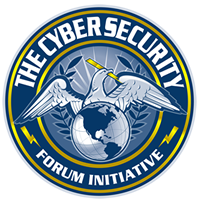 Larry is currently the Senior Director, Cyberspace Innovation for Stellar Solutions, Inc.
Bradford Barrett (TTC) and Hobart Richey (CSFI). 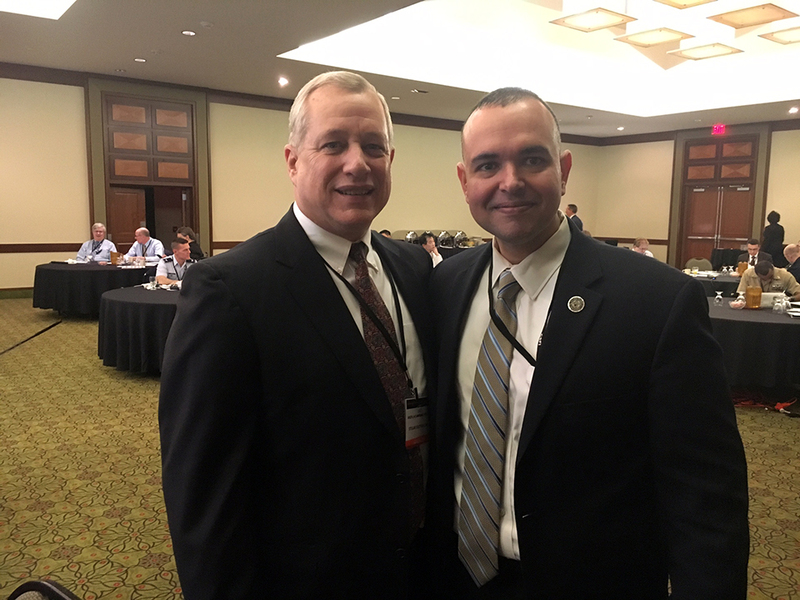 COLONEL BRENDAN HARRIS, USAF, Deputy Dir., Mission Integration Directorate, Natl Reconnaissance Office and Hobart Richey (CSFI). 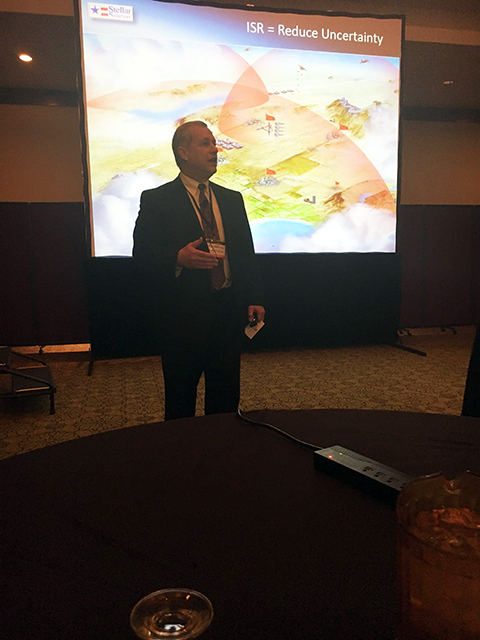 USAF MG (ret) Larry Wells (Stellar Solutions/CSFI) presenting on ISR. How do you take the ordinary and make it extraordinary? 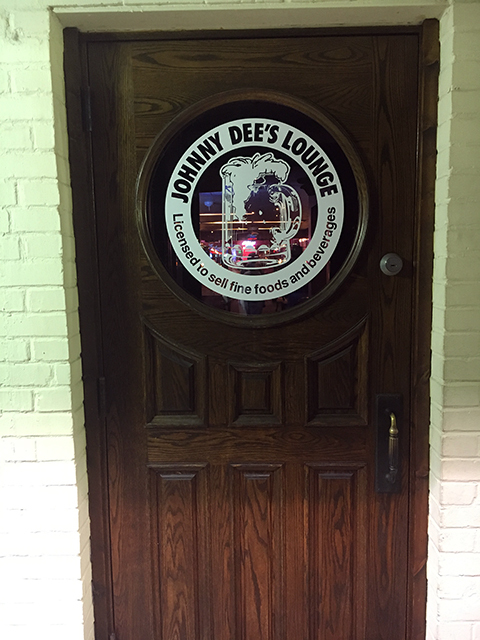 With fresh ingredients, attention to detail and consistency…that’s how Johnny Dee’s Lounge has been serving food for the past 60 years. 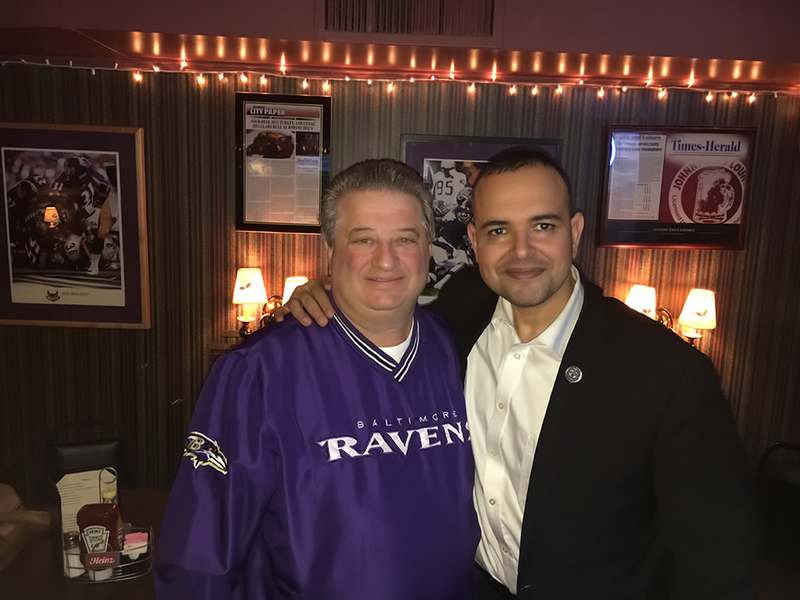 It is a 40 min drive from Fort Meade, but if you want to relax and meet with friends in a family style restaurant, Johnny Dee’s Lounge is the place to be at. The service is superb, and Johnny himself makes sure to come out and say hello. I recommend the Shrimp Bisque and the Jerk Chicken.